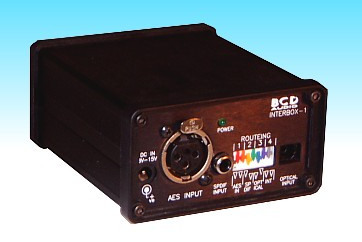 The ITB-2 : SPDIF / TOSLINK/ AES3 inputs to SPDIF/TOSLINK/AES outputs. Any output is routed from any input by front panel DIP switch, so useful for conversion in both directions. Replaced by ITB-2F.